We decided this year, we needed to make our Christmas Planners with some of our favorite girls. And thanks to Elmer’s and X-acto, we had everything we needed to put together these Holiday must-haves. 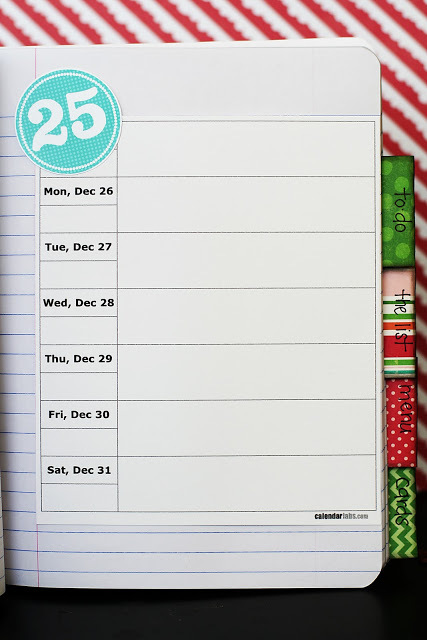 We’ve been receiving a lot of emails lately asking about the Christmas Planner. Last year we put together 10 steps for completing your planner. This year, we did things just a little different. We used papers from the Echo Park – Holly Jolly collection. You can download it over HERE – the 2012 version HERE. TO BACK THE TAG: Punch out a scalloped circle with a 3 1/2 inch punch or use a digital paper cutter and cut it out. Then of course, we inked the edges. THE TABS: 2″ squares of patterned paper folded in half and inked. i made 5 tags… calendar, to-do, the list, menu and cards. THE CALENDAR: i printed off the weekly calendar from HERE. then added one of the circle tags on the 25th. 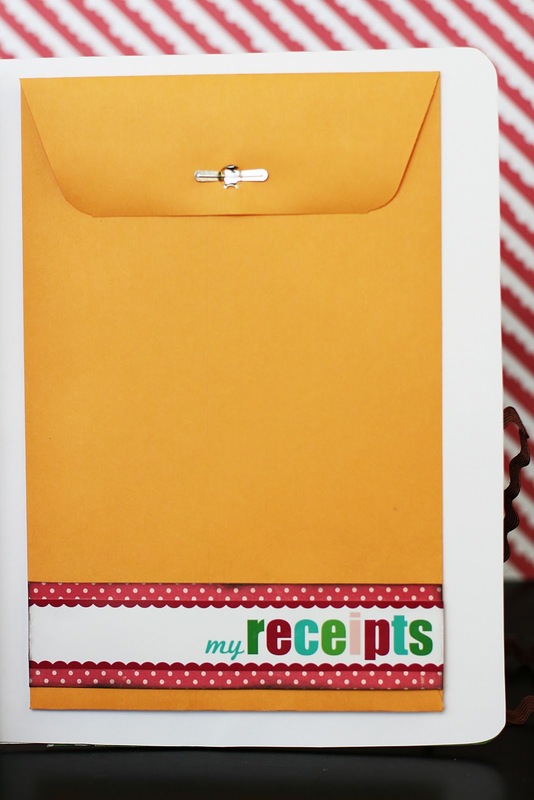 A SPOT FOR COUPONS + RECEIPTS: i attached the strips to patterned paper and then attached to the 6×9 envelopes. one went behind the front cover and one behind the back cover. some brown ric rac keeps it closed up nicely. and now i’m ready to get some christmas shopping done!! I was JUST thinking today how I needed to get organized and this is the PERFECT solution! Thank you so much! And the receipt envelope! I NEVER save the receipts and regret it each and every year. I love your level of genius. This is a really great idea! I love the envelope addition. So handy! Yay! I've been waiting for this ever since I saw the 2010 planner over the summer! 🙂 Will be making this soon! Thanks! 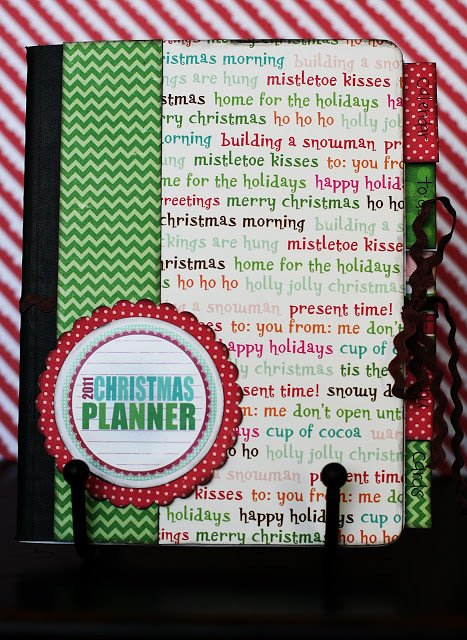 Ooooh Love it, I love anything scrapbookish and christmasy!!! I know neither of those words are real but still I love it, very practical and lovely! Also I love the envelope, it's a great idea! Thanks so much for the printable! I already made one for my friend. I love the color scheme for this year. Thank you so much for this post. I want to let you know that I posted a link to your blog in CBH Digital Scrapbooking Freebies, under the Page 7 post on Nov. 15, 2011. Thanks again. I loved the one I made last year…will definitely make this one too! Question, where did you put the cute 2011 snowman? On the back perhaps? i did use the "weekly blank calendar" pages – starting with the last week in november. i ended up not using the snowman in my planner, but some people put him on their cover. i'll probably use him as a tag for a little gift. ?? So glad to see the updated version for this year. Just unpacked our Christmas stuff yesterday and found last year's "command center." One change I made: I used a binder instead of a notebook. 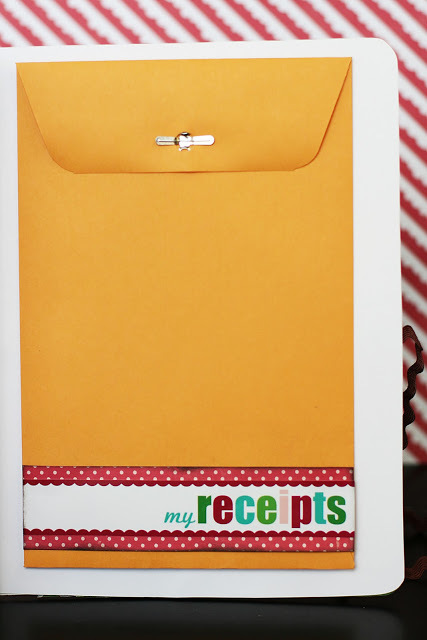 This way I can just print, 3-hole-punch and add gift tutorials from blogs, recipes, etc. I find this works a little better for me. Thanks so much for this CUTE tag sheet and great idea! I have a question on the gluing. 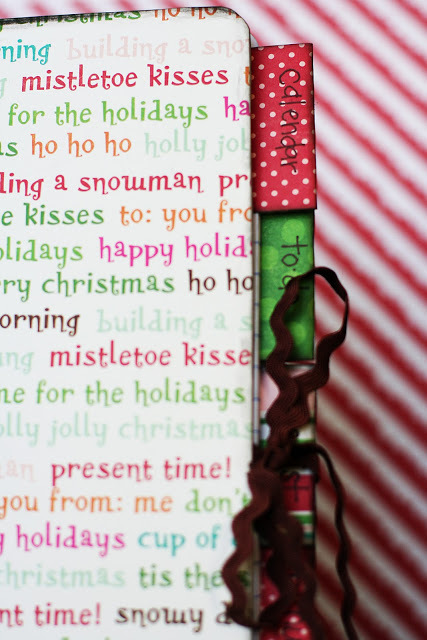 I did a notebook like this for a gift and when I got finished the adorable paper on the front bubbled and came unglued not long after I finished. I tried again, with a little more glue and it warped my cover. No matter how many heavy books I put on it the cover never flattened out. What kind of glue did you use and how much of it did you use. I love this project and would love to be able to make one! Thanks! hi lisa… we used the Elmer's glue spots to adhere all of our papers and the ribbon. they hold really well. Thank you! This is just great! Our extended family is large and I needed something like this to keep me on track! Much appreciated. i want to be this organized! This also makes a great way to keep the year's memories. Help! 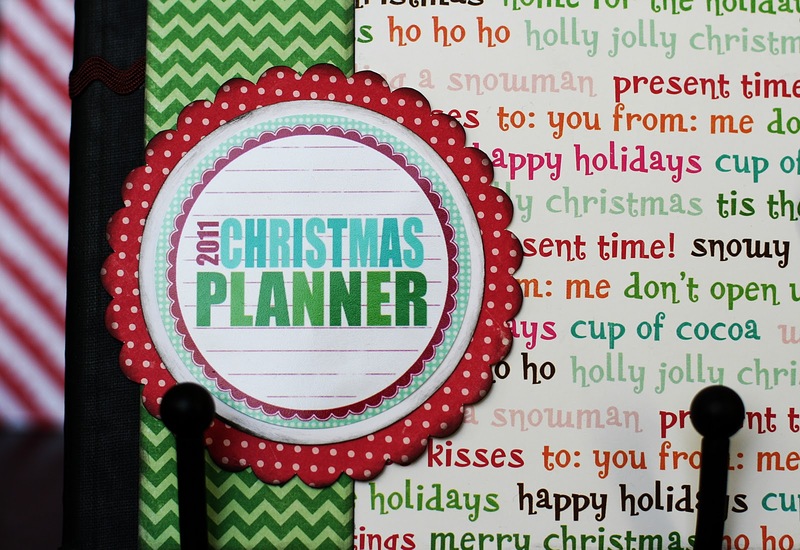 I am working on my 2013 Christmas Planner and it just won't be complete without one of your cute printables! Will you be making a printable for 2013? Do you have a 2013 version? Just found this, I love the idea! 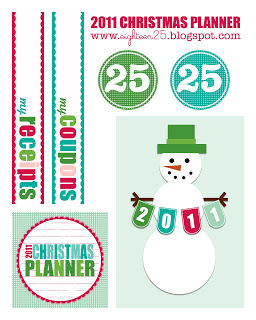 I’m already thinking about Christmas 2015, and I have a suggestion…do your printables on white sticker paper! The tabs would be self adhesive and ready to be put right on the pages, even the calendar sheets! Just a suggestion, and what I plan on doing when you release 2015’s!! I’m getting excited!